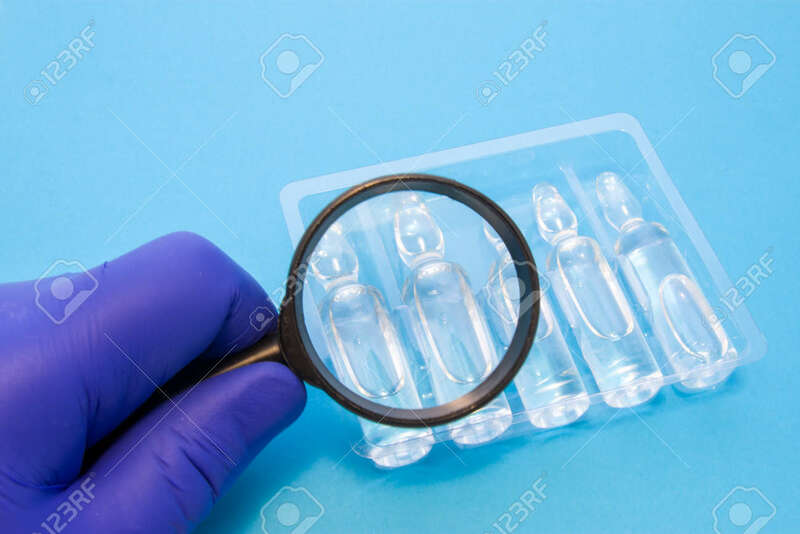 Quality Control Of Liquid Medicines In Transparent Vials Concept Photo. Quality Control Specialist Of Medicines And Health Products Conducting Product Validation And Analysis On Purity And Identity Royalty Free Stok Fotoğraf, Resimler, Görseller Ve Stok Fotoğrafçılık. Image 118411142.